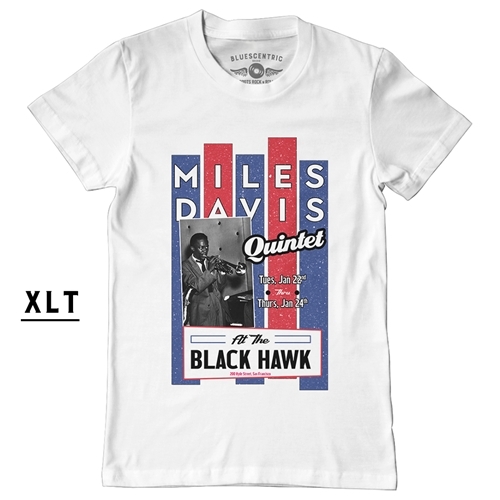 This is the special XLT version of this new official Miles Davis t-shirt. Miles Davis played a number of engagements at The Blackhawk, San Fransisco's famous Jazz lounge. 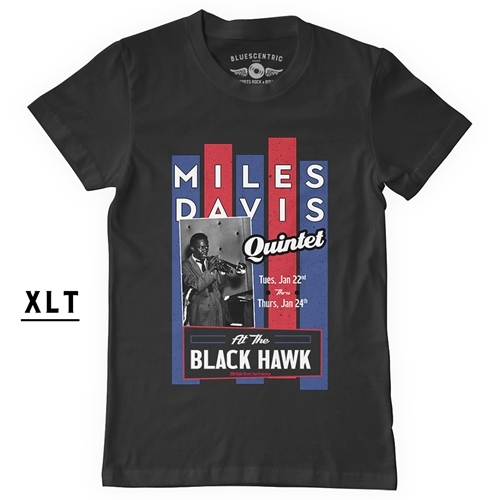 This Miles Davis shirt features a 1957 engagement and a now-legendary Jazz Quintet of John Coltrane on tenor saxophone, Red Garland on piano, Paul Chambers on bass and "Philly" Joe Jones on drums. Miles, of course, played trumpet. 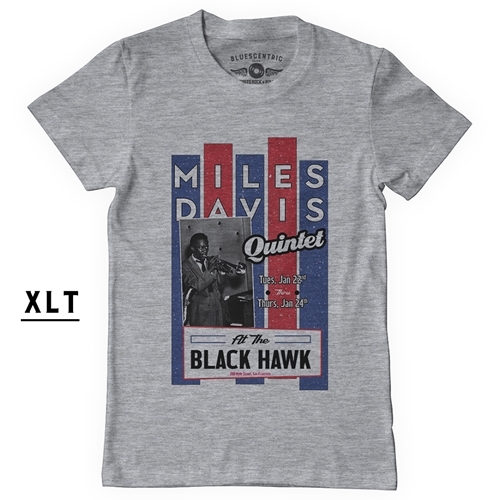 This distressed Bluescentric Brand Miles Davis XLT t-shirt comes in preshrunk 6oz 100% cotton sizes XLT, 2XLT and 3XLT. Sizes run very true, and have minimal, if any, shrinking. This is a standard go-to t shirt for our big & tall music lovers.